Nextion is a seamless Human Machine Interface (HMI) solution that provides a control and visualisation interface between a human and a process, machine, application or appliance. 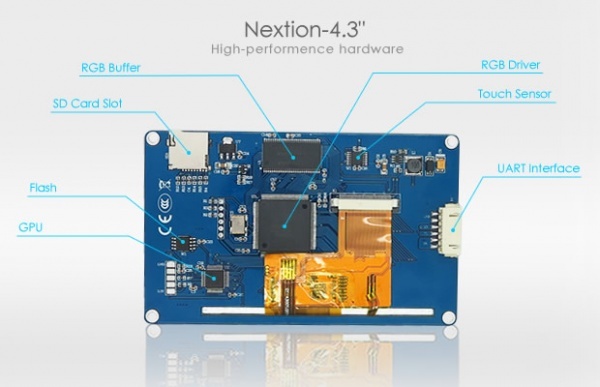 Nextion is mainly applied to IoT or consumer electronics field. It is the best solution to replace the traditional LCD and LED Nixie tube. 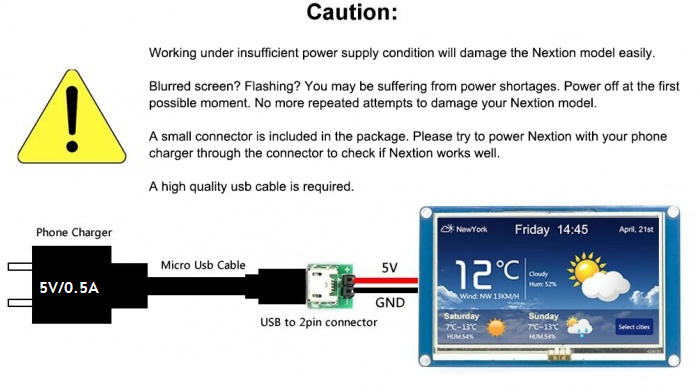 With the Nextion Editor software (Official Download), users are able to create and design their own interfaces for Nextion display. 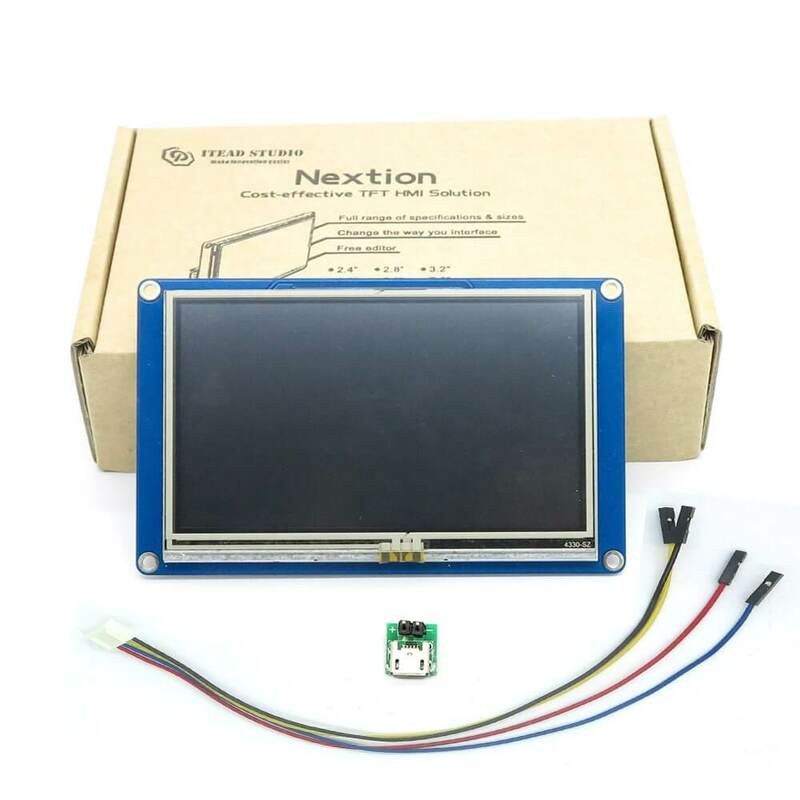 Package includes: Nextion Display, connecting wire, a power supply test board. Note: the small power supply test board and connecting wire inside the package allow you to test if the electrical supply is enough or not. See the image below on how to use it.